Credit: Egyptian Ministry of Antiquities. Back in January, we had talked about some 5,000 years old hieroglyphs that alludes to the Ancient Egyptian capital of Memphis along with depictions of boats. Intriguingly enough, archaeologists have also been able to salvage actual boat structures from the Giza complex. 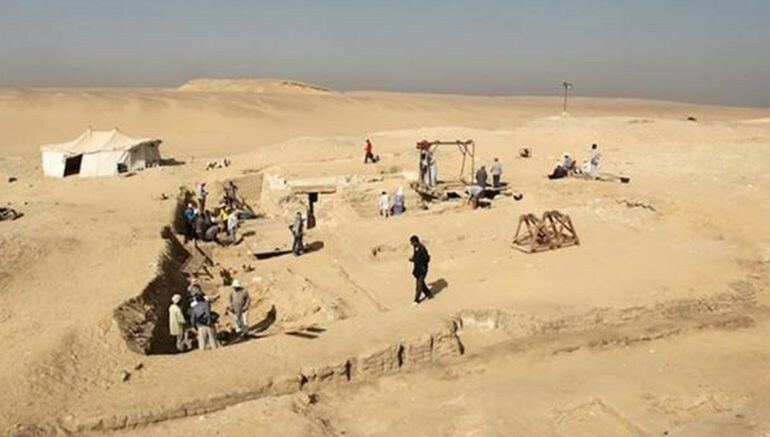 And this time around, the boat analogy has once again come to fruition – with Czech archaeologists uncovering an actual an 18 m (59.1 ft) long ship near an ancient tomb (mastaba) in Abusir (Abu-Sir), Egypt. Probably belonging to some noble from the Old Kingdom, the extant boat specimen is interestingly almost contemporary to the Great Pyramid, with its presumed date of ‘crafting’ being at around 2550 BC. And the good news is, this marine craft was found to be in a relatively well preserved condition. This hints at the possibility of more comprehension and understanding as to why boats/ships had played a significant part in Ancient Egyptian funerary traditions. Extraordinarily, the desert sand has preserved the plant fiber battens which covered the planking seams. Some of the ropes that bound the boat together are also still in their original position with all their details intact, which is a unique discovery in the study of ancient Egyptian boats. All these minute details are of the highest importance, since most of the ancient Egyptian boats and ships have survived either in poor state of preservation, or were dismantled in pieces. 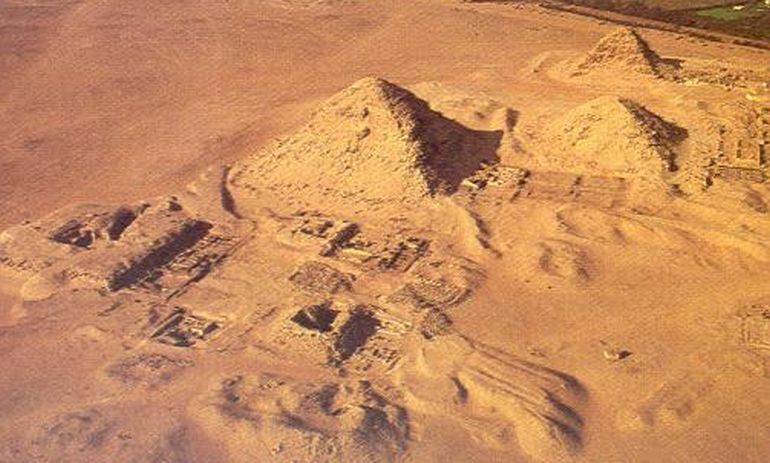 The Egyptian Ministry of Antiquities have also confirmed the find by denoting its actual resting place atop a pile of stones. They have also analysed artifacts like pottery present inside this craft, and have determined that the boat is from the end of Third or beginning of the Fourth Dynasty. Now the question as to whom this boat was dedicated to (i.e., the occupant of the mastaba) still remains unanswered. The historians however hypothesize that the man in spite of being a noble, was probably not related in blood to the royal family. In other words, he might have been a very high ranking official who was close to the king, but was not a member of the royal family. Now as for the tradition of burying ships along with the dead – this is the very first time that archaeologists have been able to locate an actual boat at the Saqqara necropolis. However, as we mentioned before, extant ship specimens have been found before, inside the renowned Giza complex. For example, in 1954, researchers stumbled across a massive 153 ft (47 m) long boat made from Lebanese cedar; and it was enclosed inside a sealed pit situated at the foot of the Great Pyramid. 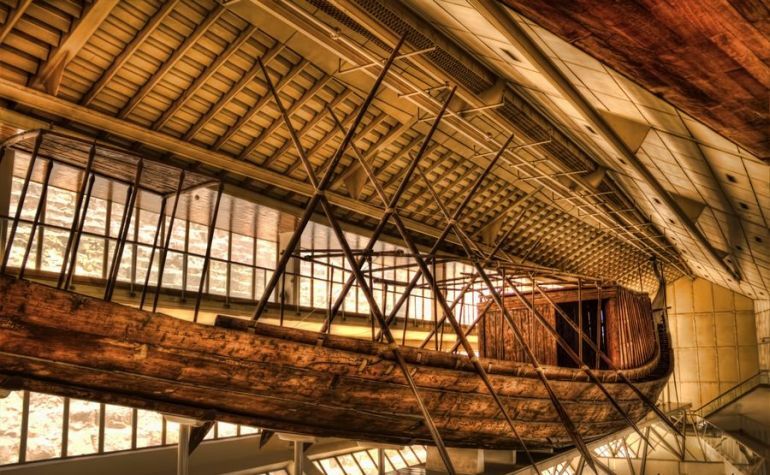 This monstrous ‘artifact’ known as the Khufu Ship, is probably the world’s oldest intact ship from antiquity, with the preserved remains still proudly displayed at the Giza Solar boat museum. But the historians are still divided over the spiritual reasoning behind why such marine crafts were interred inside tomb complexes. According to conventional notion, these ships served as metaphorical transportation modes for the deceased in their afterlife. On the other hand, there can also be a more symbolic essence to this scope, with the boats possibly denoting Ra’s voyage in his solar ship. And lastly, beyond just conjecture and symbolism, the archaeologists involved in this project are also looking forth to actually study and assess how Egyptian ships were built during these ancient times. Given the preserved state of the specimen, such an endeavor of analysis is expected to bring more answers regarding the antediluvian shipbuilding processes.